Houston Texans wide receiver Demaryius Thomas (87) is introduced before an NFL football game against the Indianapolis Colts Sunday, Dec. 9, 2018, in Houston. Former Bronco D.T. was traded to Houston at the October trade deadline. 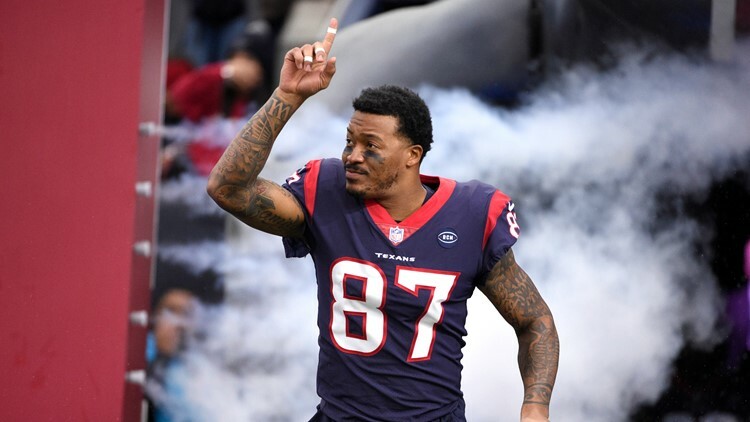 HOUSTON — The Houston Texans are expected to release wide receiver Demaryius Thomas on Tuesday, according to multiple reports. Thomas was traded to the Texans from the Denver Broncos for a fourth-round draft pick at the October trade deadline. The Broncos and Texans also swapped seventh-round picks. Thomas, 31, had 31 catches for 275 yards and two touchdowns in seven games with the Texans before injuring his left Achilles tendon in Week 16. He was due $14 million in the final year of his contract.